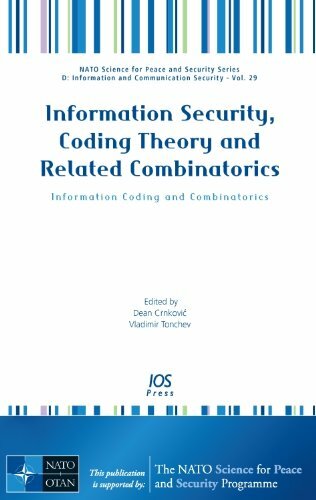 Synopsis: This book contains papers based on the fourteen lectures presented at the NATO Advanced Study Institute ''Information Security and Related Combinatorics'', held in Opatija, Croatia, May 31 - June 11, 2010. The conference was widely attended by students and junior scientists from throughout Europe and the USA. The theme addressed by these papers is combinatorial mathematics, as used in applications related to information security, cryptography and coding theory. Together they cover several topics subject to current research in the field. The volume will be of interest to mathematicians, computer scientists and engineers working in the area of digital communications, as well as to researchers and graduate students wishing to learn more about the application of combinatorial mathematics. The tutorial style of the papers makes the book particularly suitable for use as an additional text for a course in discrete mathematics or applied combinatorics. It would similarly be of value for graduate courses in applied combinatorics with a focus on coding theory and cryptography.